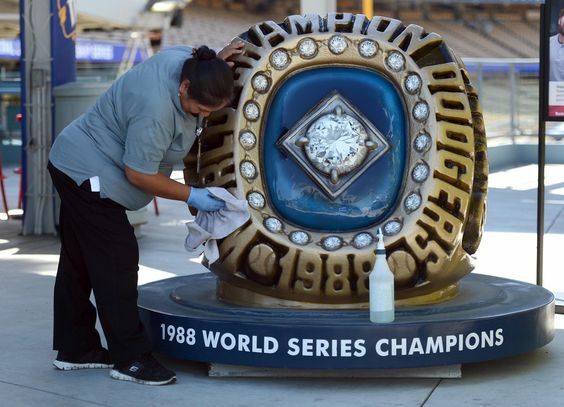 NLCS Game 6: Live blog. NLCS Game 5: Cubs gain the upper hand, Dodgers’ season on the brink. 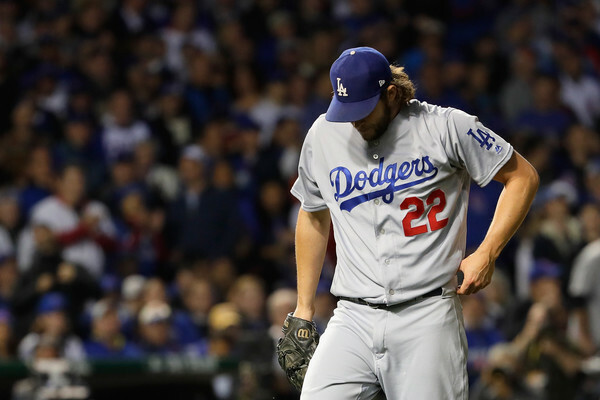 The Dodgers will fly to Chicago tomorrow needing two wins to save their season, having lost Game 4 of the National League Championship Series 8-4 to the Chicago Cubs. Joe Blanton found himself on the wrong side of a game-altering home run for the second time in the series. The Cubs got the start they needed from postseason ace Jon Lester. 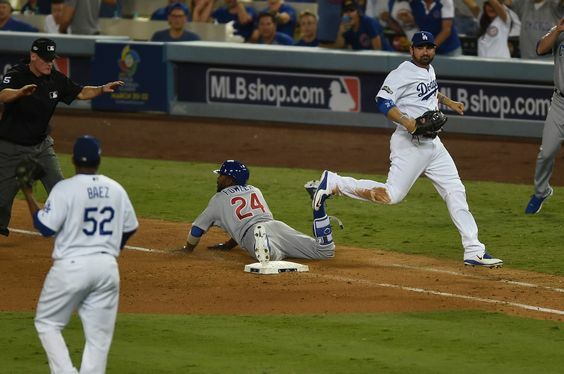 The Dodgers tried to give Lester a long night on the basepaths. For the most part, it didn’t work. Speaking of unusual playoff tactics: The Dodgers’ organist provided the soundtrack to the Cubs’ batting practice. NLCS Game 5: Dodgers, Cubs lineups. The Dodgers are facing Chicago Cubs pitcher Jon Lester today for the second time in less than a week. Manager Dave Roberts brought back the same starting nine from Game 1, but shook up the batting order. Carlos Ruiz is batting cleanup for the first time since May. Adrian Gonzalez is batting sixth for the first time since June 16, 2012 — when he started in right field for the Boston Red Sox.